The Crystal Cave was discovered by workers in 1897 who stumbled upon this marvel as they were preparing a well for the winery some 40 feet above. 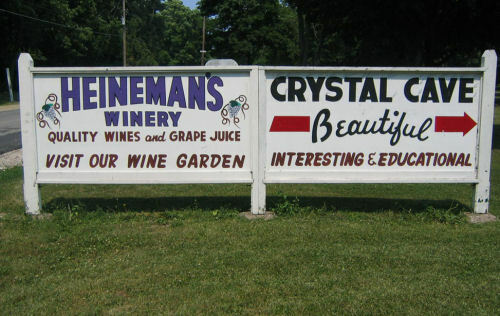 Put-in-Bay's Crystal Cave has the world's largest geode inside. The inner lining of this Ohio treasure is covered in strontium sulfate, a bluish mineral classified as celestite. Crystals have been harvested previously for firework production, so the cave has grown considerably since its discovery.